There is no other historic house in England quite like Strawberry Hill House. 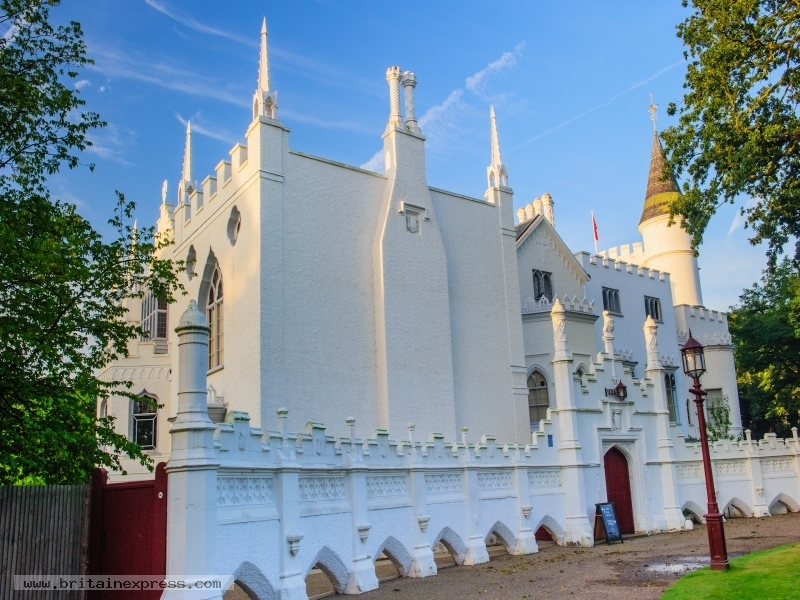 This neo-Gothic fantasy on the banks of the Thames was built by Horace Walpole, son of the politician Robert Walpole. The exterior is a mix of Oriental and fanciful medieval styl, but the interior is unlike any other in Britain, with incredible gilding and fantastic woodwork and plasterwork throughout, joined by vaulted, darkened passages. The house was begun in 1749 and drew hordes of visitors during Walpole's lifetime. It has been recently restored and is now open under the care of a charitable trust.